Spring Ahead, Fall Back. It's the way that those of us in the USA remember whether we will have to lose an hour of sleep (Spring ahead) or gain an hour (Fall back). 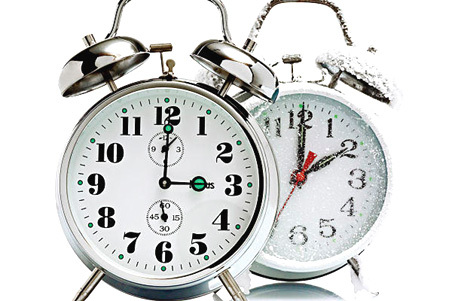 Sunday morning at 2:00 am, Daylight Saving Time will end and won't return again until March. This basically means two things to me. 1) I will be able to see the sun rise again - it was getting to rise so late that I was already at my laptop working on my writing by the time it finally peeped over the horizon. Since sunrise is my favorite time of day, it was a sad thing for me to miss it. And, 2) I will be leaving work at the end of the day in total darkness instead of the last gloaming. Indeed, before Solstice finally happens in late December, it will be dark as early as 4:00 - 4:30 pm. Ick. But that's my tradeoff for my sunrise and it starts coming back so quickly after Solstice that it is a joy to watch. The history of Daylight Saving Time is actually rather interesting. I wasn't aware that the US didn't even have standard time zones until 1918! Wow, what a confusion it must have been for travelers prior to that time. 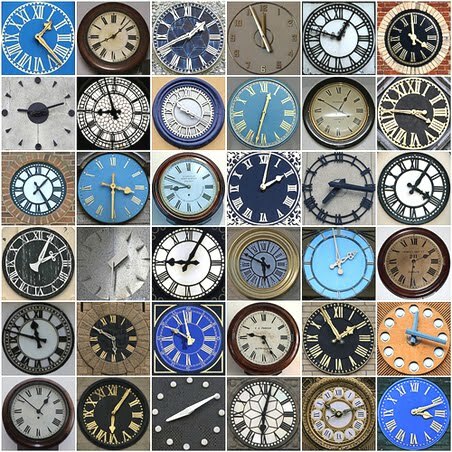 Daylight Saving Time became optional and done state-by-state until WWII when it was continuous from 1942 until 1945. Then its use returned to state laws and was optional. A national Daylight Saving Time Act was passed in 1966, but local exemptions could still apply. This set the dates from April through October. There were some variations in the start dates of Daylight Saving Time during the Energy Crises of 1974-75 but then the dates reverted back to April-October. The latest law of 2007 changed the dates, expanding from March-early November. There are still areas of the nation that do not follow Daylight Saving Time. Hawaii, the territories of Puerto Rico, Guam, the Virgin Islands and American Samoa and the state of Arizona (except for the lands of the Navajo Indian Nation) do not use Daylight Saving Time. Everywhere else in the USA do. If an area decides to follow Daylight Saving Time, they are required by Federal Law to use the mandated dates set by Congress. What a mess! All I know is that I will get an "extra" hour of sleep tomorrow and I'm looking forward to it. Have a fantastic weekend! Current Location: Thinking about the day ahead. So, you are switching this weekend? We (Europe) did it last weekend. Our clocks went back last week.I was working so they got a free hour out of me. I always hate it when the clocks go back. I really resent the dark evenings and it takes me a while to adjust. Now it starts to get dark at 4pm here and I hate it. I really dislike the early nights, but I love it once we're through Solstice and I can tell that we are getting towards Spring with each day's increase of light. Our clocks changed last week. I'm just about getting used to it.